The London production of ‘Cursed Child’ won three Critics’ Circle Theatre Awards on January 31st. Anthony Boyle (Scorpius Malfoy) won the Promising Newcomer award. John Tiffany won Best Director and Christine Jones won Best Designer. Bloomsbury Publishing unveiled the 20th Anniversary Hogwarts House editions of Harry Potter and the Philosopher’s Stone, and they’re beautiful! The covers feature each House’s crest in rich, vivid colors. New covers will be available in both hardback and paperback. Each edition will include interesting facts about the Hogwarts houses. This special anniversary edition will be in stores at the beginning of June. You can also pre-order your copy by using this link. • Harry Potter: Male, 37-40. Maximum height of 5 feet 10 inches. Father of James, Albus and Lily. Married to Ginny. Head of Magical Law Enforcement at the Ministry of Magic. • Ginevra “Ginny” Potter: Female, 37-40. Mother of James, Albus and Lily. Married to Harry. Senior Quidditch correspondent for the Daily Prophet newspaper. • Hermione Granger: Female, 37-40. Mother of Rose. Married to Ron. Minister of Magic. Strong willed. • Ron Weasley: Male, 37-40. Father of Rose. Married to Hermione. Runs Weasleys’ Wizard Wheezes. Comedy chops essential. • Draco Malfoy: Male, 37-40. Father of Scorpius. Independently wealthy. Natural authority. • Albus Potter: Male, 18+ to play 14/15. Must be 5 feet 7 inches or shorter. Son of Harry and Ginny. Student at Hogwarts. • Scorpius Malfoy: Male, 18+ to play 14/15. Must be 5 feet 7 inches or shorter. Son of Draco. Student at Hogwarts. • Delphi Diggory: Female, mid-20s. Must be 5 feet 7 inches or shorter. Niece of Amos Diggory. Works at St. Oswald’s Home for Old Witches and Wizards. • Young Harry Potter: Male, 11 years old. Must be under 4 feet 11inches. Harry Potter at the age of 11. • Lily Potter Jr.: Female, age 9. Must be under 4 feet 11 inches. Daughter of Harry and Ginny. Sister of James and Albus. • Vernon Dursley / Hogwarts Professor / And Others: Male, m40s-m60s. Uncle of Harry Potter. / Defense Against Dark Arts Professor. • Rose Granger-Weasley / And Others: Female, 18+ to play 14/15. Must be 5 feet 7 inches or shorter. Daughter of Ron and Hermione. Student at Hogwarts. • Hagrid / Sorting Hat: Male, 30s-40s. Must 6 feet 2 inches or taller. Keeper of keys and grounds as well as Professor at Hogwarts. / Magic hat which sorts students into their houses at Hogwarts. • Petunia Dursley / Madam Hooch / And Others: Female, m50s-m60s Aunt of Harry Potter. / Professor at Hogwarts. • Amos Diggory / Albus Dumbledore: Male, 60s. Cedric Diggory’s father. / Past Headmaster of Hogwarts. • Professor McGonagall / Trolley Witch: Female, m40s-m50s. Scottish. Headmistress of Hogwarts. 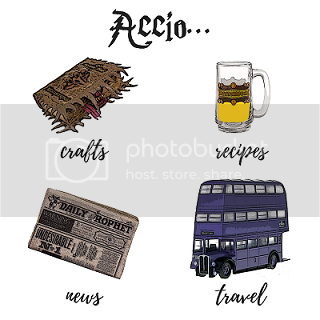 / Works on the Hogwarts Express. • James Potter Jr. / And Others: 18+ to play 16. Must be 5 feet 7 inches or shorter. Son of Harry and Ginny. Brother of Albus and Lily. • Moaning Myrtle / And Others: Female. 18+. Must be 5 feet 7 inches or shorter. Ghost of Myrtle who died at Hogwarts. • Bane: Male, 30s. Must 6 feet or taller. A centaur who lives in the Forbidden Forest at Hogwarts. Must have huge upper body strength and be well-toned. • Craig Bowker Jr. / And Others: Male, 18+ to play 14/15. Must be 5 feet 7 inches or shorter. Student at Hogwarts. • Polly Chapman /And Others: Female, 18+ to play 14/15. Must be 5 feet 7 inches or shorter. Student at Hogwarts. • Yann Fredericks/ And Others: Male, 18+ to play 14/15. Must be 5 feet 7 inches or shorter. Student at Hogwarts. • Dudley Dursley / Karl Jenkins / And Others: Male, 18+ to play 14-16. Must be 5 feet 7 inches or shorter. Harry Potter’s cousin. / Student at Hogwarts. Remember when we told you about the 2017 LeakyCon event? As of February 7th, tickets are now officially on sale. This year’s convention will be held at Citywest Hotel in Dublin, Ireland. For more information and to purchase your tickets, follow this link. Voting for the 2017 Empire Awards is now open! Fantastic Beasts And Where To Find Them has been nominated for six awards including Eddie Redmayne for Best Actor, Best Costume Design, Best Make-Up and Hairstyling, Best Visual Effects, Best Production Design, and Best British Film. Follow this link for a full list of nominees and to place your vote! The Empire Awards will be held on March 19th.